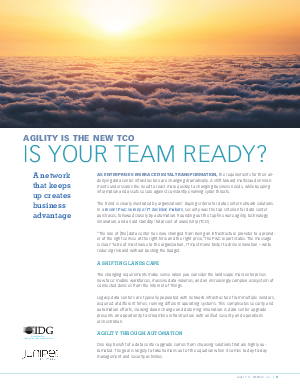 > Juniper Networks > Agility is the new TCO. Is your team ready? Design your data center to be agile, automated, secure—and reduce TCO by as much as 25%.